Raleigh, NC (August 13, 2018) – Kane Realty Corporation and FCPSM are pleased to announce a new 104,000-square-foot office lease with Arch Capital Group Ltd. (ACGL), a globally diversified financial services group providing insurance, reinsurance and mortgage insurance. The company will be taking four full floors at The Dillon, making Raleigh an operational hub for the global company. The lease brings office space at The Dillon to just over 96% leased. Colin Reilly, Heath Chapman and Don Shupe with CBRE represented Arch in the lease transaction. 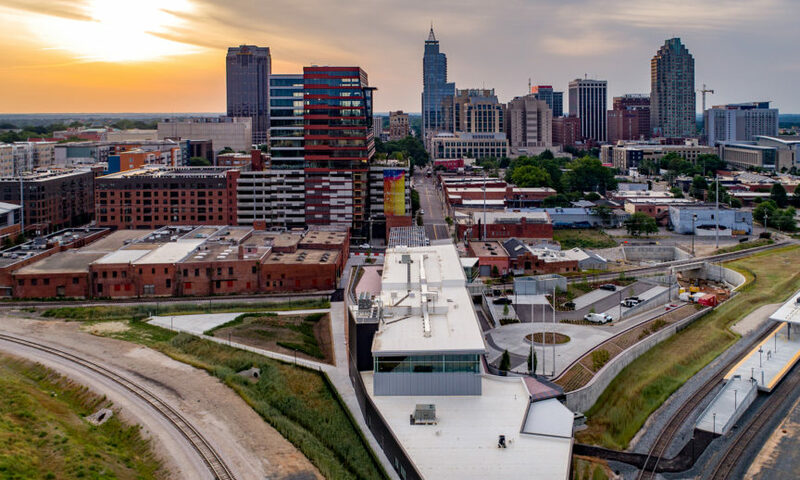 The Dillon is an 18-story tower with 221,300 square feet of Class A office space, 270 apartment homes, covered parking and 52,000 square feet of coveted retail and restaurants in the center of Raleigh’s burgeoning Warehouse District. The landmark project makes up an entire 2.5-acre city block and sits adjacent to Union Station. The Dillon office building’s innovative design by renowned Duda|Paine Architects incorporates the character of the historic Dillon Supply building and surrounding Warehouse District, while providing state-of-the-art, efficient workspace. The first office tenants at The Dillon moved into the building in June. Residents began moving in earlier this year, enjoying upscale amenities like a 3,000-square-foot fitness center overlooking downtown, work from home spaces, resort-style saltwater pool with wood sundeck, and a bike center with bike share program. The Dillon offers a wide variety of restaurants and retailers including Weaver Street Market, Urban Outfitters, O-Ku Sushi, Oak Steakhouse, Bishop’s Cuts & Color, Heirloom Brew Shop and Barcelona Wine Bar.